Miran is most certainly a babe. We connected on Instagram shortly after our feature on her pal Bethany Watson, and we've been IG friends ever since! A violinist for the prestigious Metropolitan Opera Orchestra in NYC, she's officially another professional musician in the BWH fam that I'll be living vicariously though from here on out. Seriously though - performing 4-5 operas a week (ranging 3-6 hours each) is no joke... and that doesn't even include practice time. Thanks for taking the time to chat with us amidst your crazy demanding schedule, Miran! So many to choose from! First, Senator Kirstin Gillibrand, who I recently heard speak at a Q&A panel. Everything she said was fueled with passion, but her feet were still glued firmly to the ground. Jen Atkin is someone who knows how to work hard, but always seems to be making time to enjoy her life too. Finally, my mom, someone who never stops moving for a second, no matter what hand of cards she’s dealt. Free time is definitely a commodity in my line of work. We’re constantly rehearsing and performing, so injury prevention is a must. I try to get to a massage therapist or chiropractor at least twice a week to address any physical issues I might be having. Other than that, I try to spend as much free time as I can at The Wing. There, I’ll get work done, get ready for an event/show, meet a friend for coffee, or get to know some new people! The space has such positive energy and helps me recharge when I’m feeling down - I can’t stay away for too long! That’s such a tough question. My mother is a wonderful cook, so it might have to be her Korean short ribs. On the other hand, my husband is a chef. I don’t know if my last day would be complete without his cooking. I'm a professional violinist in the Metropolitan Opera Orchestra, which means I play in the pit. My work day is full of incredible music and top notch performers. We play 25-30 operas every season, and our schedule is densely packed. We perform about 4-5 operas a week (they can range from 3-6 hrs each), and then rehearse during the daytime for the next batch upcoming shows. It's an intense season, but I love it. We have rehearsals in the morning for about 3-4 hours, usually followed by a couple hours of downtime. During that time, I try to run some errands, eat a meal, and change into my concert clothes. Then it’s back to the pit for a full opera performance! What was the audition process like for your job? The auditions are formatted like competitions. There are usually 3-4 rounds: resumé, preliminary, semi-finals, and finals. The Met Opera Orchestra advertised their job opening in the winter of 2014. I emailed in a resume, after which I was invited to take part in a live audition. I flew to NYC for a week, where I competed in all three rounds of the audition, until I was one of last two musicians standing. We were both offered positions in the orchestra that day! The unique thing about our auditions is that every round is blind (played behind a curtain). The panel of musicians don’t get to see the applicants until the winner of the auditions is announced. It’s like The Voice - everything is based on what they hear. Favorite thing about your job? Least favorite? Because of where I’m sitting, I can see the most of the stage from the pit! I’m constantly in awe of the level of craftsmanship when it comes to costumes, set design, hair & makeup, etc, but the tough thing about this job is definitely the long hours. None of my previous training prepared me for the possibility of playing 4-10 hours of opera in one day. During my first season, we played a Saturday matinee of Die Meistersinger von Nürnberg (6 hours) and an evening presentation of Le Nozze de Figaro (4 hours) in the same day. That day was a physical endurance test to say the least! What was your education like? Would you say it greatly contributed to where you are now as an artist? A lot of our training is very technical (especially at an early age). It’s hours of practice, private lessons, rehearsals, and numerous performances. I have found that the most memorable lessons I have learned through my training have been the non-musical ones. Pursuing any kind of art means that you have to deal with rejection from an early age and very often. The teachers who helped me get to where I am today taught me how to dust myself off and stand up in the face of rejection. They also demanded that I expect more from myself every day. Without them, I wouldn’t have been able to push myself to get to where I needed to be. What’s the most challenging performance piece you’ve worked on? For me, Wagner is the most challenging music. I had never played any Wagner before joining the MET, so it really was like learning a new language! What’s your favorite piece you’ve worked on? 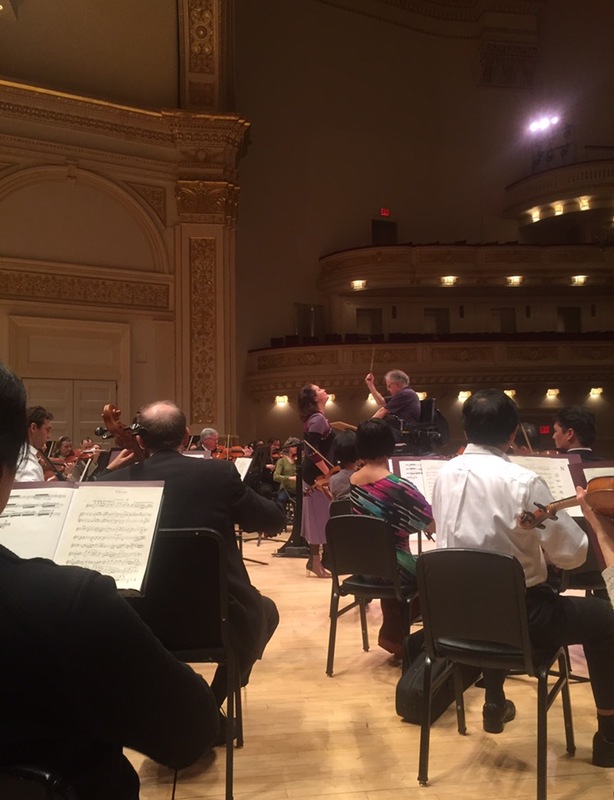 At the MET, we performed Shostakovich’s ‘Lady Macbeth of the Mtsensk District’. The music was exhilarating to play, the cast was phenomenal, and the production was so original and eye-catching. It’s still one of my favorite performances I’ve been a part of since I joined the Met Opera Orchestra! I have had “Lemonade” on repeat for a while now. I never get tired of it! How did you prepare for your audition? What's your advice for those in the audition process? I get this question a lot. I didn’t have a method or prescribed course when preparing for auditions. My goal was to be able to perform my best under any circumstance. Being prepared is a non-negotiable. But beyond that, my biggest advice is to simulate the experience in as many ways as you can. Call up your friends, coworkers, and former teachers. Go play for them in various spaces. More likely than not, your audition room will be very different from the room you prepare in. Give them free reign to be as distracting or intimidating as possible. Get used to an accelerated heart rate by doing jumping jacks or running up and down a flight of stairs before you play. I know it sounds crazy, but the more circumstances you can get used to, the better. What is your opinion on arts in education? I can’t stress enough that the arts should be a vital part of every child’s education. When I teach young kids, I always tell their parents the same thing: even if your child doesn’t end up pursuing music as a career, learning an instrument helps instill so many positive qualities. They learn about responsibility, discipline, problem-solving, focus, and so much more! What is the gender ratio like in your industry? I’m very lucky to work in an industry in which both genders are equally represented. Women make up about half of the orchestra. In fact, in our first violin section, there are more women than men. However, when it comes to leadership positions, there’s definitely room for improvement. To my knowledge, the majority of concertmaster or principal positions in orchestras are held by men. 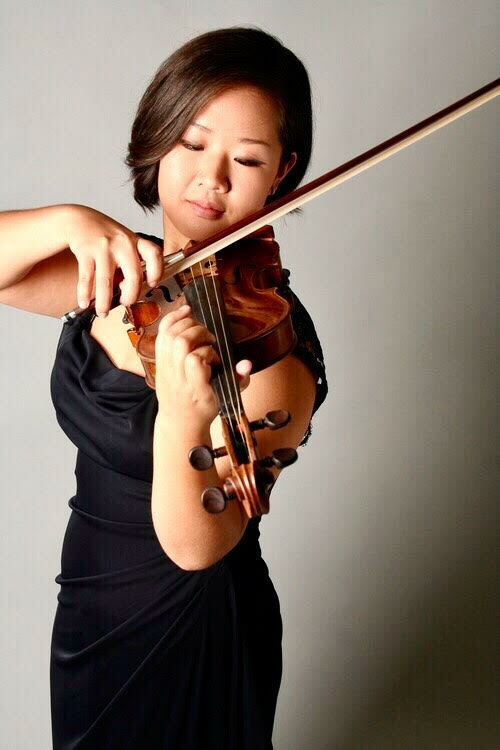 It would be amazing to see to see more women filling leadership roles in the classical music world! I’m someone who needs to be creative constantly. I love practicing my calligraphy, making illustrations, and blogging on the side! These things really help me de-stress from the day. 1. Trust your gut! I received all kinds of advice from people throughout my education and careers. I think it’s definitely important to listen to people around you and weigh your options. But at the end of the day, trust your intuition. 2. You can plan every single detail of your life, but sometimes life has other plans for you. Be prepared to improvise and go with the flow. I ended up leaving my Masters program a year early to pursue a job with the Houston Symphony, which led me to an opportunity to audition and win a job at the Met Opera. At the time, I wasn’t sure if leaving school was the best decision (and many advised me against it), but now I have zero regrets.